You could say that we’re a bunch of technologists, lending experts and customer service fanatics (you’d be right) but we’re more than that - AUTOPAY is a team. We come from all kinds of backgrounds and experiences to create something new: A better way to do car loans. Our work won’t “save the world” but we do change many people’s lives for the better on a daily basis and that means a lot to us. Our expectations are definitely high. So, we still have a long way to go as a company and team but we’re growing fast, seeing real impacts, and heading for our finish line. Values are more than pretty words, ours set a standard we strive to reach. We’ve learned that the “soft stuff” is also the wildly important stuff. 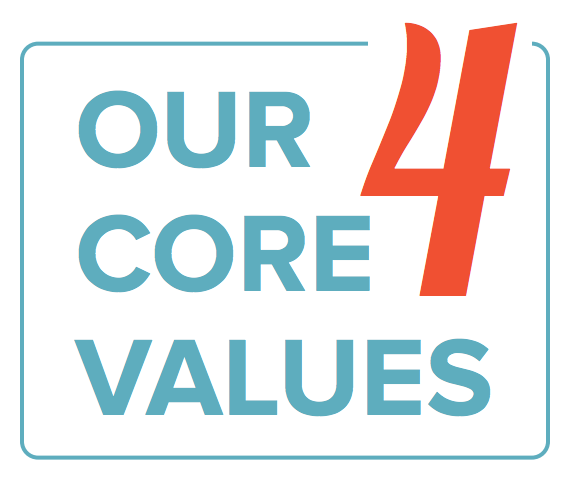 These 4 values are our compass: Impact, Optimism, Honesty & Growth. We’re still building the company we want to be, but these values help us create a collaborative team mindset and better place to work. They also improve how we connect with customers (and each other), and drive the development of a product we’re proud of. Trust is a must. Start with respect, candor & honesty. Every problem is an opportunity to find a better solution. Dig in & go farther to make products, systems & lives better. Drop the ego, keep learning & share what you find. "Build trust. Keep learning. Work hard. Be kind. Repeat." We talk a lot about winning. For us, it’s based in the desire to help others get to their goals. One of our favorite questions is, “What does success look like for you?” It’s a powerful question. Now, getting to goals takes a solid team - where we own our individual strengths, work together, and cheer each other on -so everyone gets across the finish line. Thankfully, winning isn’t a zero sum game. There’s plenty to go around and life is actually better (and so is business) when we encourage that energy. That’s why we go out of our way to champion others. It’s winning with heart.